Welcome to the University of Michigan Ypsilanti Health Center. We have two practices, Ypsilanti Family Medicine and Ypsilanti Pediatrics. We strive to provide high-quality, comprehensive, and cost-effective care to our patients. 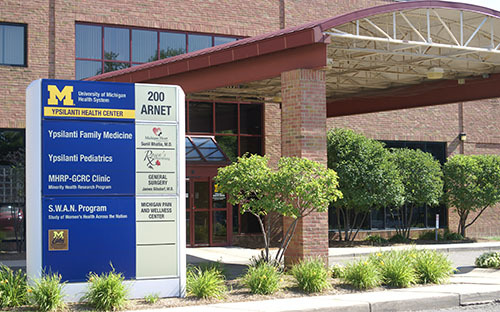 We are a major site for teaching medical students and residents from the University of Michigan Medical School. We have two full-time, on-site social workers who are able to assist in crisis intervention and counseling. Monday, Tuesday & Wednesday 7:45 a.m. - 7 p.m.
Thursday & Friday 7:45 a.m. - 5:00 p.m.
Saturday 7:45 a.m. - 12 p.m.